Hi, It’s Nice To Meet You! 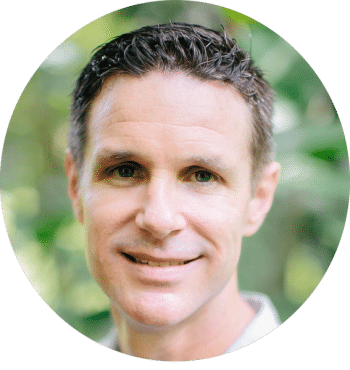 I’m Mike Lawrence – Speaker, Writer, and Pastor. I’m also a Missionary, and Church Planter. I am passionate about igniting God’s people to greater passion and purpose by teaching God’s word from a fresh perspective, making it clear and applicable. But before I tell you about me, let’s talk about you! Have you ever longed for more in your walk with God? Do you desire to experience more of His presence and purpose for your life? Do you feel like there is supposed to be more in your christian walk and church experience? Then I’m glad you’re here! My Goal is to help those dissatisfied with the status quo discover the “more” they were created for. I’ve been around long enough to know things don’t always go the way one hopes. I’ve had to walk out my faith during the good times and the bad times. As life happens, doubts can begin to creep in, expectations go unmet, promises of God start to seem out of reach and silence from heaven can begin to be the norm. You begin to settle for less and to feel dissatisfied. What started off as a joyous walk with God doesn’t take much time to dissolve into much less. But these experiences don’t need to be the normal Christian life. God created you for more! How to successfully apply God’s word to every area of your life and experience more of His presence and life-transforming power! I do this by sharing a fresh perspective on God’s purposes for your Spiritual Growth, Marriage & Family, Missions & Ministry, and Fulfilling Your Destiny. I’ve had to learn these insights during my 17+ years of marriage, parenting 5 children, and over 20 years of walking with God and serving in ministry. By God’s grace I have helped others do the same in their lives and I would love to help you too! I do this through speaking, writing, and intentional discipleship relationships. My speaking and teaching are done through my YouTube channel as well as speaking at churches, conferences, and events. You can learn more about my speaking and invite me to speak at your church or event here. My writing is primarily on this blog. I post new content once or twice a week. The best way to receive this content is to subscribe to my mailing list. This way you’ll automatically receive my latest and greatest content directly to your inbox! Just fill out the form below and you will be on the list. Thanks for taking the time to read this page! If you would like, you can contact me here and find out what I’m currently focused on here. Is There More To The Gospel? How To Make The Most Of Your Life… Right Now! Are You Afraid Of The Darkness? Surviving a temporary heart stoppage, I was born prematurely at just 3 pounds, 13 ounces, and I fit in the palm of my dad’s hand. After spending over a month in the hospital my mother brought me home, against the doctor’s wishes, on Easter Sunday after signing a no-liability release form. So began the work of God in my life. Raised in a broken home, I prayed to receive Christ at 8 years old, though I never fully understood what that meant. I proceeded to live like my peers and did the foolish things teens shouldn’t do. Having reached my lowest point, I fully surrendered my life to Christ at 20 years old. Immediately I was filled with an intense desire to study scripture. Within the first few months, God made it clear my life belonged to Him alone. I got plugged into a local church (Calvary Chapel Boynton Beach) and began serving. It was during this time that I met the woman of my dreams, Revae. 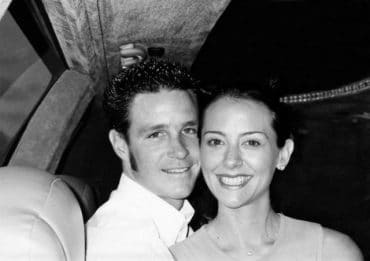 2 years later, in 2000, we married. 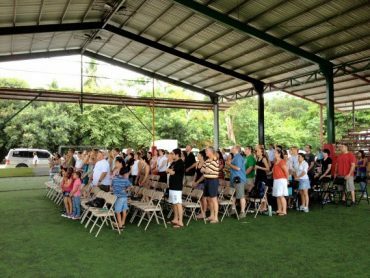 God blessed us with a daughter and we answered the call of God to pioneer and plant a church in Costa Rica in 2005. We now consider CR our home, having been here for 12 years and counting. During the last 12 years, we have planted 2 churches and our family has grown by 4 more children (3 girls and 2 boys total)! It has been a wild ride, but God has been faithful every step of the way! I am passionate about fulfilling the purpose God has for my life and passing a godly heritage onto my children. Coming from a broken home, I have an intense desire to be transformed by the power of God and glorify Him in every area of my life, ending the cycle of broken homes in my family history. As a result, I live life intentionally and love to invest in other peoples lives by teaching them to do the same. I’m a deep thinker who loves to spend time with my wife and kids, to read, write, surf and build deep, lasting relationships with those around me. I also dabble in photography and web design from time to time. While not a musician, I love to worship the Lord! Relational ministries are where I thrive most. I am passionate about igniting God’s people to greater passion and purpose by teaching God’s word from a fresh perspective, making it clear and applicable. I’m not afraid to think outside the box and try less conventional approaches to ministry. My prayer is that others will be encouraged to seek the Lord because of the grace He has shown me. If He can use me, He can use anyone! Not because we deserve it, we don’t. But because God is that good! He loves us and will ignite our lives if we’ll surrender to His will and His ways! God is faithful, He will do it! Thanks again for taking the time to read this page! Don’t forget to subscribe to my blog to receive content that will ignite your life!